In Chicago’s Back of the Yards neighborhood lives SOS Illinois’ Casa Tepeyac, an intervention facility at in-home family services provider, works with families in ways that build on their strengths, tackle tough problems, and stabilize aid to youth navigating difficult situations. The staff at Casa Tepeyac have put together an incredible and impactful series of parenting classes that is making a difference for not only the SOS Illinois Village communities but for the parents in the Back of the Yards as well. 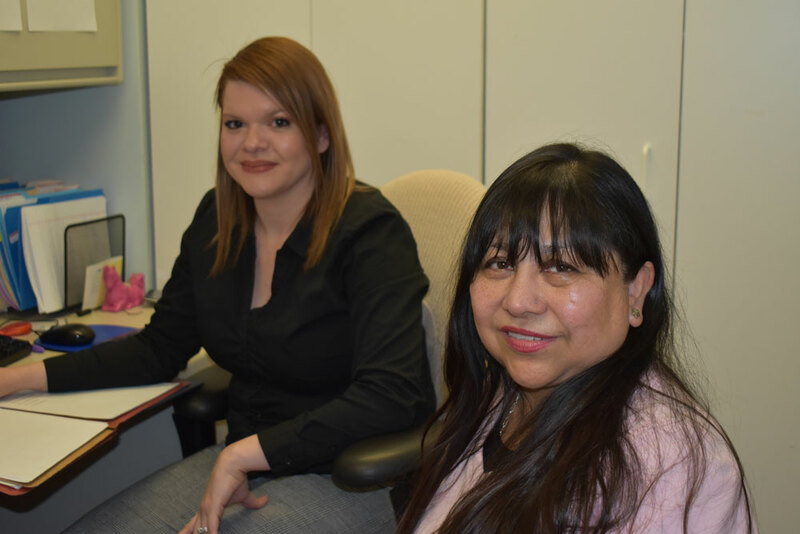 Staff members, Celia Martinez and Evelin Echeverria, sat down to discuss the curriculum they’ve created and the differences they’re seeing within their community because of this special series for parents. What brought about your Supportive Parenting Classes series? The classes came along because we had a call from one of the schools in the community, Hamline Elementary, that was looking to bring more education to the parents. They sought out the staff at Casa Tepeyac to see if we could provide a curriculum to them, as they’re only about ten minutes away from us. How did you create the curriculum for the parents at Hamline Elementary? We built a curriculum based entirely on their needs. It was centered around parents getting to know their children, getting to know their development, and teaching them how to talk to them. The school had initially requested lessons for parents on how to encourage their students academically and how to be involved in that process. So, we created a four-session curriculum where we meet once a week, and since, we’ve expanded this series to other SOS Illinois Villages and biological parents. How does your series for biological parents compare to the series you bring to the schools? Our series is very comparable for weeks 1-3, but the fourth session is a special session that changes depending on the needs of the school, organization, or group we’re working with. The first three weeks are typically focused on child development, communication, and structuring. For our biological parents, we focus our fourth session on family visitation where we cover things like: What does that look like? How to be safe. How to plan it with your children. How did parenting education look before you began the Supportive Parenting Series? Previously, classes were held at Casa Tepeyac. We had a consistent parenting group that came for two years before, and we also partnered with various outside agencies to bring in trainings, workshops or small groups. It became apparent that there was a need to create a more focused educational session. So that’s when we developed the smaller, four-week Supportive Parenting Series. Creating the smaller series made it possible for us to work with community groups such as schools or tailor it so that we could provide it to our biological parents, which is helping another part of the organization. How have you seen the series working within those two different groups? Within the local schools, parents are asking for the services, and they’re eager to attend and participate. For our biological parents, we’re finding that they truly love it. They’re participating and they’re committed. They’re required to complete twelve sessions with SOS Illinois, and this series allows them to get ahead a bit by taking care of four of their required sessions. It’s very encouraging for them. Do you have plans to bring the Supportive Parenting Series beyond Casa Tepeyac and the Back of the Yards neighborhood? We are currently working on expanding it at Roosevelt Square as well as reaching out to area churches and schools to see if there’s any interest in bringing it to them. We’ve also been working together as a team with other agencies to be able to provide it to other communities as well. What would be best way for someone to bring this program to a school or parenting group? They can contact Evelin via phone or email, or they can also speak to our program assistant, Angelica Fuentes. No matter the group, we can tailor the series to the particular audience and who will be attending, including running the series in English or Spanish. Our Supportive Parenting Series is completely free.